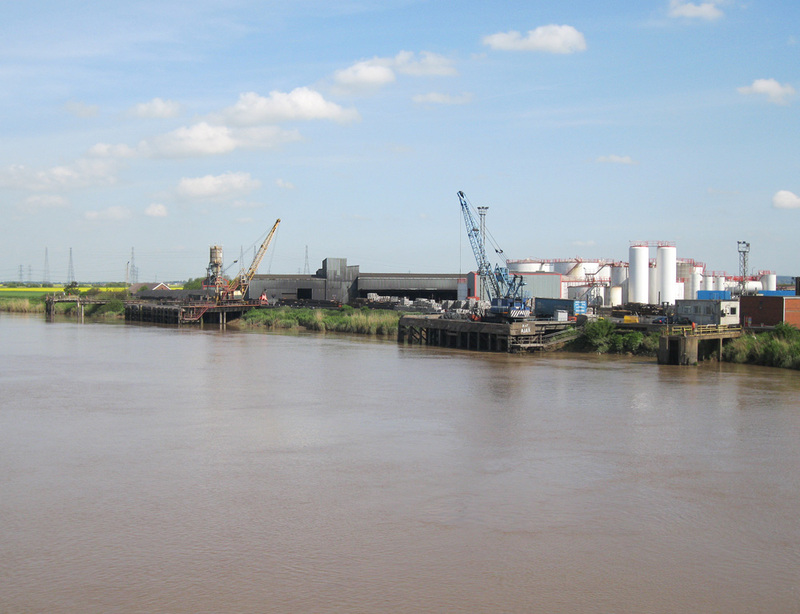 A small private wharf on the east bank of the River Trent, directly opposite a similar faciity at Keadby. It is able to accommodate vessels up to a maximum of 100m, with a sailing draft of up to 5.3m on Spring Tides. The berth is serviced by mobile crawler cranes up to 20 tonnes SWL for general grab or hook work. Loading shovels assist for the handling of bulk cargoes and a dedicated weighbridge and lorry wheel wash for bulk cargoes are located within the site. Gunness Wharf provides a total of 4,180 sq m of undercover storage and a reasonable area of outside storage on hard standing, supplemented by the Group’s satellite storage facility at Althorpe, which offers a further eight warehouses ranging in size from 929 sq m to 2,600 sq m. In total undercover storage of 10,219 sq m, together with substantial outside storage for bulk and packaged products, is available at Althorpe.